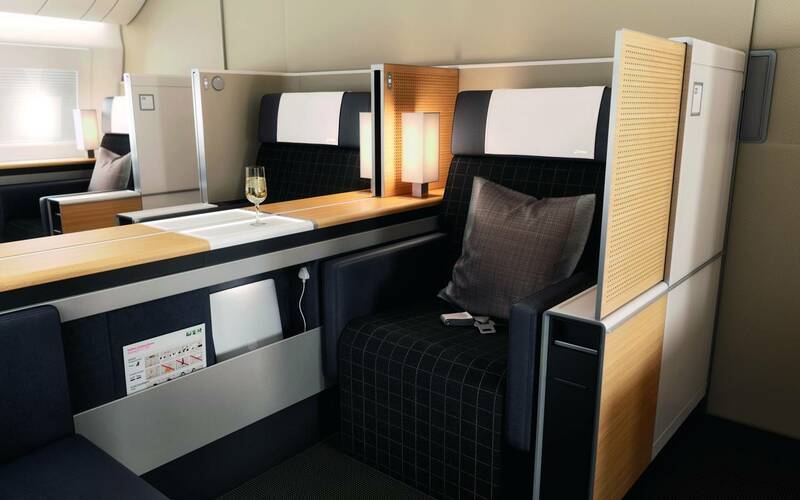 A complete, holistic environment, an interior consistent with SWISS's corporate identity and the Zurich airport lounges: PriestmanGoode’s cabin for Swiss International Airlines' new Boeing 777 was designed in close contact with the airline and all its suppliers to ensure perfect aesthetic and functional coordination of every little detail. 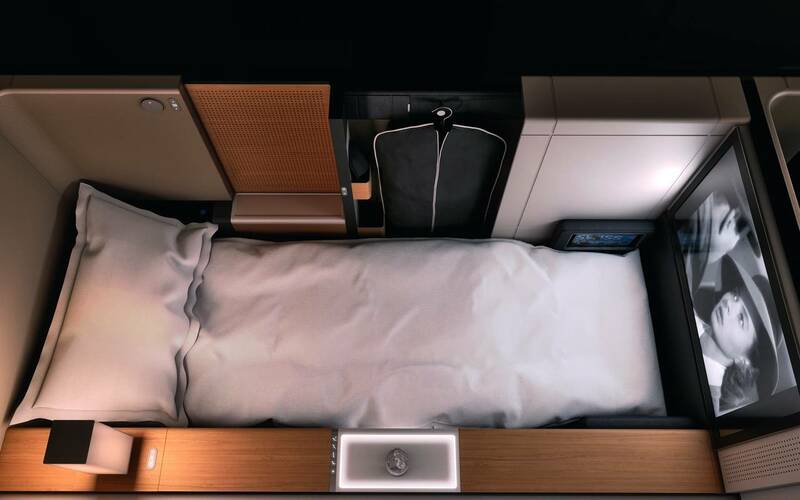 We asked the designers and Paul Estoppey - Head of Cabin Product Management at SWISS to tell us about the design process. 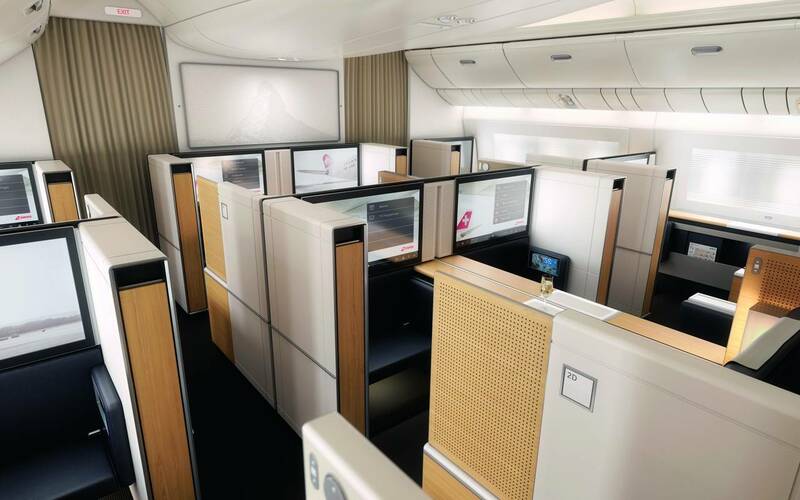 area: What was the brief you gave the designers for the cabin? 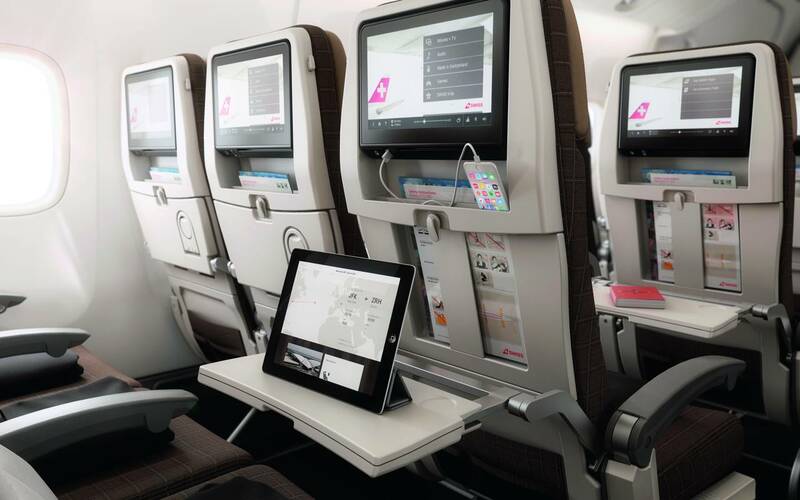 Which was your priority: design, ergonomics or comfort? Paul Estoppey: All these aspects must interact. 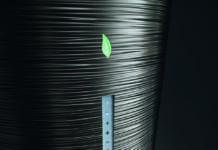 Design could be seen as a package around the essence of the product, and in some cases it has a function of its own, as in the case of a bulkhead. In general, we naturally wanted the project to reflect and apply the values SWISS is known for all over the world. area: What common features, both aesthetic and practical, do the plane interiors share with the airport lounges? 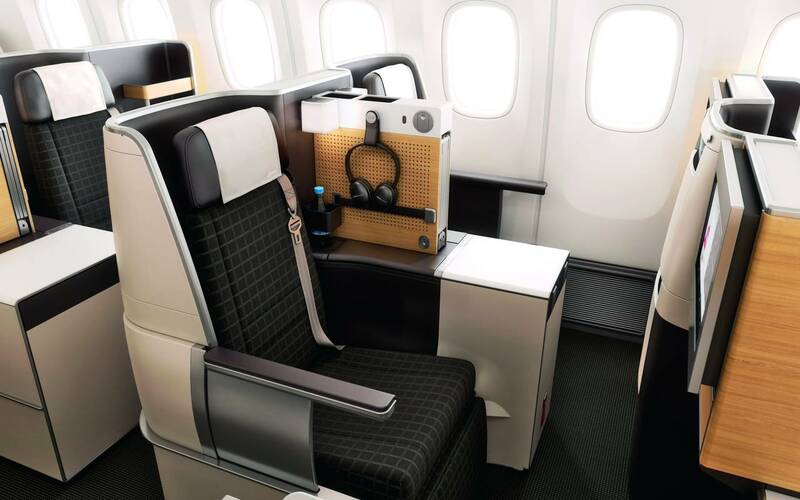 Paul Estoppey: It's important to maintain a common theme connecting the lounge with the plane interior and vice versa. 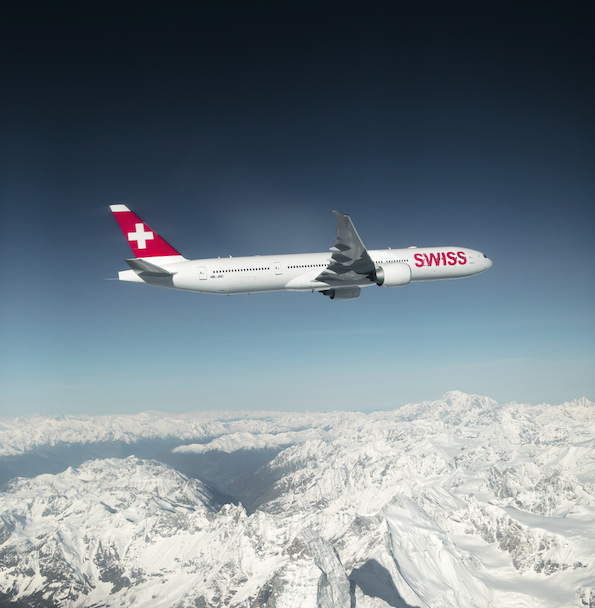 SWISS uses the same colours and materials wherever possible, though this is not always feasible, for the materials used in aircraft must meet different requirements from those in a lounge, and the airplane certification process has much stricter limitations and restrictions. On board the new aircraft in our long-range fleet, the Boeing 777-300ER, we used "welcome" panels just like those appearing at the entrance to our lounges, for the first time. This allows us to welcome our guests the same way on the ground and in the air, establishing a friendly sense of continuity. area: What are the keys to the concept? 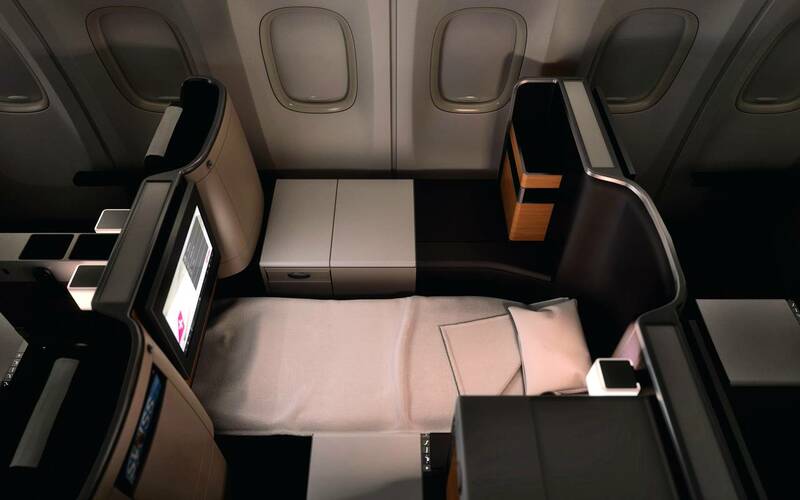 What themes are common to the aircraft interior and the new lounges? PriestmanGoode: Sober elegance and a great focus on detail are features of both the airplanes and the lounges. Their design truly reflects the Swiss approach to precision handcrafting and a certain affinity with materials of local origin, such as wood, in a minimalist style. 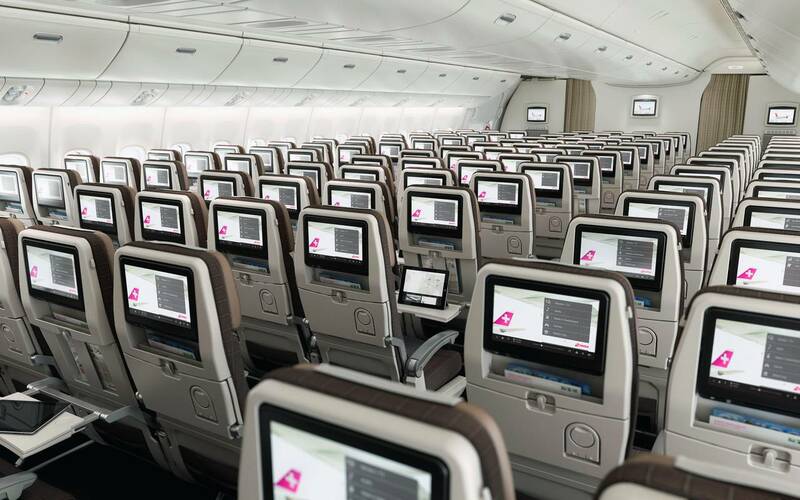 There are many new features on this plane. 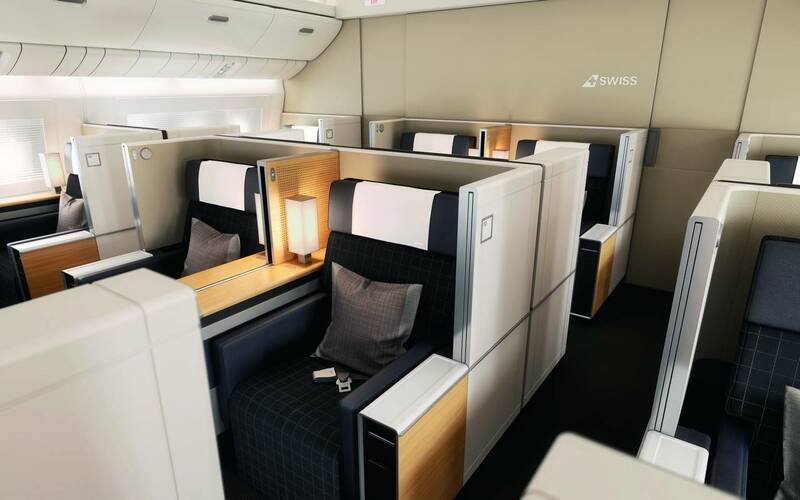 Its design is characterised by sophisticated details, elements characteristic of SWISS, such as the customised reading lights we designed for the previous first class cabin. 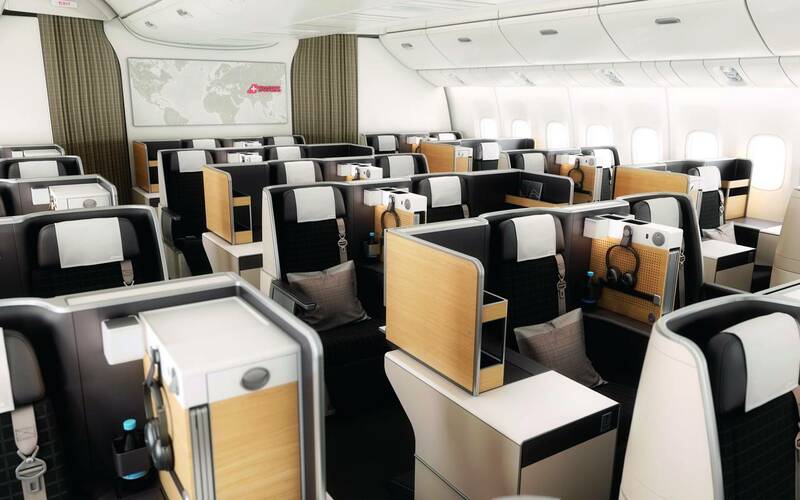 We have created a whole series of unique elements for the new Boeing 777, such as the Corian edge-lit cocktail tray and the drawer cabinet in First Class, the headphone hook and space for stowing away tablets and magazines in Business Class, and the customised SWISS galley doors. area: What extra features have you added? And what is the impact of technology on the experience of travel today? Paul Estoppey: Technology has had a number of effects on the product on board. Sometimes its effect is simply to reduce the weight and increase the strength of seats or galley equipment. 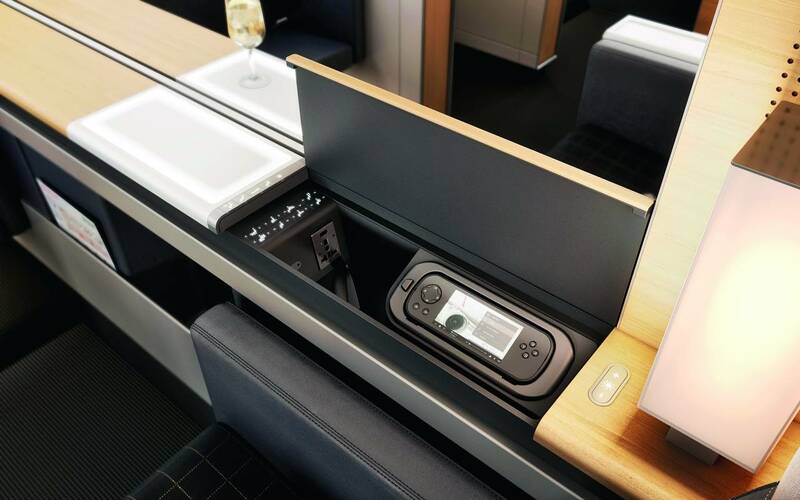 But at other times technology allows us to improve the comfort we can offer, as is the case of the pneumatic air cushions on our Business Class seats, where guests can change the consistency of the cushion as they wish. 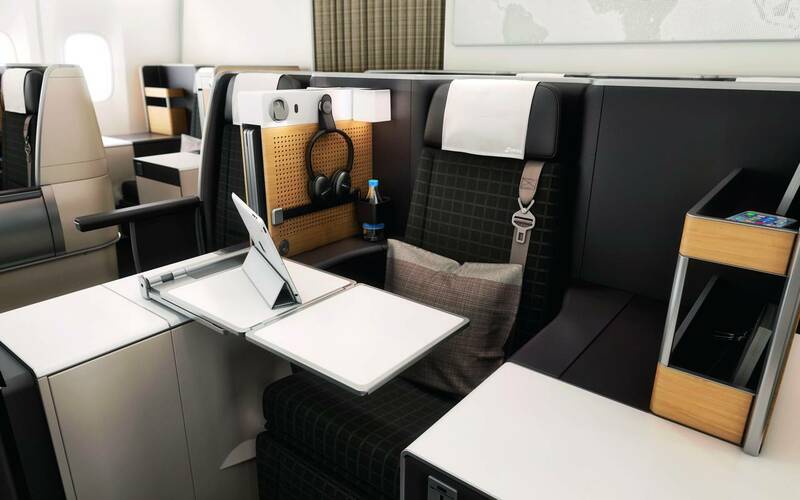 Another example is the "open" structure of the new First Class cabin, where each seat can easily be converted into a private suite if the customer desires. 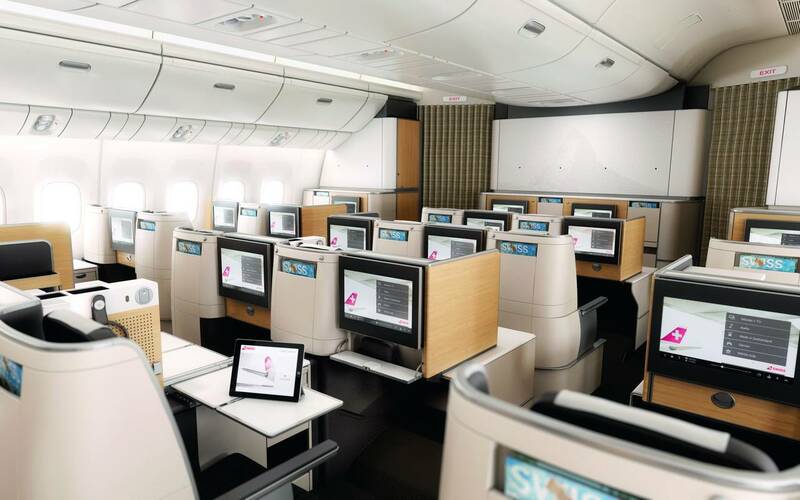 PriestmanGoode: We approached the design of our First Class interiors and use of technology in them by further simplifying the design of the previous A330 aircraft. For instance, the seat can be controlled quickly and easily with a series of buttons which are quick and easy to use at any time, from any position. The relationship between technology and aesthetics makes it easier, more tactile (in the choice of materials) and easier to use. It’s a bit like a high-end Hi-Fi system with simple volume buttons compared to an ultramodern touchscreen, which is more complicated to use. The design vocabulary used on board the aircraft reflects that of the lounges, creating a sense of "Swissness", and so technology is intentionally integrated in an unobtrusive way. 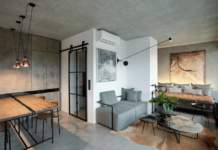 The visual inspiration for the technology is more in line with that of products you would like to have in your own home. The television, for instance, is a separate design object, with a high definition screen, rather than something fully integrated into the seat.